Discover a whole new world of vacations with yearly timeshare accommodations at the award-winning Pueblo Bonito Emerald Estates. 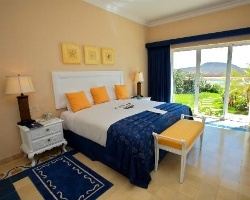 Find timeshare resales and rentals at the resort today and save up to 70%. What’s My Pueblo Bonito Emerald Estates Timeshare Worth? Positioned along the pristine shores of Emerald Bay, the Pueblo Bonito Emerald Estates provide an effortless luxury stay in Mazatlan. Boasting an incredibly diverse array or on-site services and amenities as well as an unmistakeable tropical-inspired design, this incredible property won awards from the likes of TripAdvisor, Conde Nast Traveler, and AAA. With a massive swimming pool that yields unbelievable views of the ocean, five on-site restaurants and a soothing health spa designed for your utmost relaxation, you'll truly have everything you need at your disposal at the Pueblo Bonito Emerald Estates. Luxury is front and center at the resort, with massive three bedroom villas offering enough space for up to eight guests and sweeping views of the resort grounds and ocean. Ideal for families or groups of friends, you'll be able to enjoy the finest furnishings and sleeping surfaces the area has to offer, as well as upscale features like your own Jacuzzi and private pool. 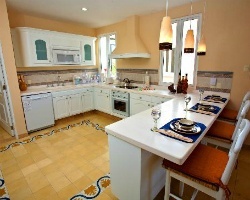 You'll also find a full kitchen in your estate, perfect for preparing your own meals to enjoy out on your patio. 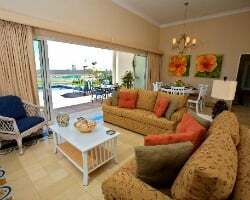 With so much to offer year after year, it's no wonder why timeshare owners keep returning to the Emerald Estates. Are you ready to find your dream accommodations? Fill out the form on this page to learn more about becoming a timeshare owner at the resort, or call a representative at 1-877-815-4227. Buying a timeshare resale at the Pueblo Bonito Emerald Estates resort will allow you to lock down guaranteed accommodations with exclusive ownership benefits all for thousands less. Because resales are sold directly by their current owners and not by the resort itself, prices are up to 70% lower than retail costs. At the end of the day, you could acquire the same great ownership options at the Emerald Estates while saving more money to spend on other travel costs or to keep in the bank. Resales at the resort will typically come in the form of deeded fixed or floating weeks, allowing you to pick and choose which ownership style is right for you. With this kind of flexibility, you'll be able to vacation when you want, at the luxury suites you want. Additionally, resale owners can access a whole host of incredible member benefits from Pueblo Bonito to enhance their vacations. The Emerald Bay Estates are affiliated with Pueblo Bonito, one of Mexico's best and most popular vacation ownership brands. As a timeshare resale owner, you'll find that you can take advantage of a host of exciting owner benefits from Pueblo Bonito, some of which may transfer to your name through the resale process. For starters, you may have access to yearly all inclusive reservation options to pair with your timeshare, leading to more flexible and convenient vacations. Additionally, you'll be able to receive special monthly promotions from the brand, which can give you discounts on spa vouchers, meals at on-site restaurants, ground transportation, and more. 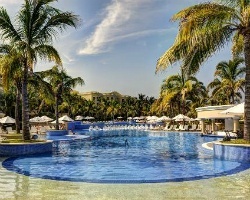 The Pueblo Bonito Emerald Estates Mazatlan is also affiliated with RCI, the world's largest timeshare exchange network. A membership with RCI can enable you to capture the full potential of your timeshare resale, as it can enable you to travel the world and discover new destinations. Just deposit your Mexico accommodations into the exchange network and choose other accommodations at similar properties around the globe. Additionally, the Emerald Estates is a part of The Registry Collection, RCI's luxury-only exchange program that can give you access to some of the most prestigious and exclusive vacation properties around the world. The Emerald Estates boast a wide range of ultra-luxurious amenities and services for you to take advantage of during your yearly stays. Start your trip off right by visiting the lavish swimming pool, which spans thousands of square feet just yards from the ocean. Order a drink at the poolside bar and lounge on a pool chair under the hot Mexican sun to get the full vacation experience. Book an appointment at the resort's health spa to really relax, and treat yourself to massages and other pampering treatments. Use the fitness center or tennis courts to stay active during your trip, or consult with the resort's concierge to embark on a tour around the area. Find the beach just steps from your door to swim, sunbathe, or snorkel to your heart's content. Make a reservation at any one of the Emerald Estate's five restaurants, including The Emerald Grill and La Cordeliere. Branch out from your lavish accommodations to truly discover the area of Mazatlan and all it has to offer. Marvel at Faro Mazatlan, a looming lighthouse perched along seaside cliffs, or discover the Mazatlan Archaeological Museum. Take photos of the breathtaking Basilica of the Immaculate Conception, or enjoy live performances at the Angela Peralta Theatre. Finally, discover Old Mazatlan's quaint shops and vendors to cap off your trip. Already Own at Pueblo Bonito Emerald Estates?